Jeffrey Lewis, a top expert on North Korea, wrote a column suggesting the US should bomb Kim Jong Un's personal toilet to put the fear in him. Lewis's suggestion, while funny, shows the kind of thinking needed to properly calibrate a "bloody nose" strike, which the US is reportedly considering. Lewis and others found Kim has a personal port-a-potty brought with him to missile launches, and the US could demonstrate its precision and skill by striking it. Jeffrey Lewis, the founding publisher of Arms Control Wonk and director of the East Asia Nonproliferation Program at the Middlebury Institute of International Studies in Monterrey, California, outlined a plan for the US to strike Kim Jong Un's personal toilet. Writing at The Daily Beast, Lewis was responding to increased chatter of a US strike on North Korea when he suggested the attack, but nonetheless, it illustrates the dangers of and motivations behind using military force to send a message. Basically, reports have come forth that the US is tired of North Korea's constant defiance, and wants to carry out a limited strike in response. In theory, using force against a weaker enemy can remind them who is in charge. North Korea couldn't really defend against a small US strike, but it doesn't intend to defend. North Korea's military posture is entirely offensive. While they could do little to stop an incoming cruise missile or air strike, North Korea could easily start blasting Seoul, South Korea's capital of 25 million with artillery shells. "The central challenge, as we contemplate a 'bloody nose' option for a limited military strike, is finding a suitable target that represents Kim Jong Un’s nose — a target that will allow our strike to be intimidating and humiliating to Kim, but not the sort of broad assault that might prompt him to retaliate with his growing stockpile of nuclear weapons." Lewis settles on a target of little strategic importance, but great personal relevance to Kim: His port-a-potty. 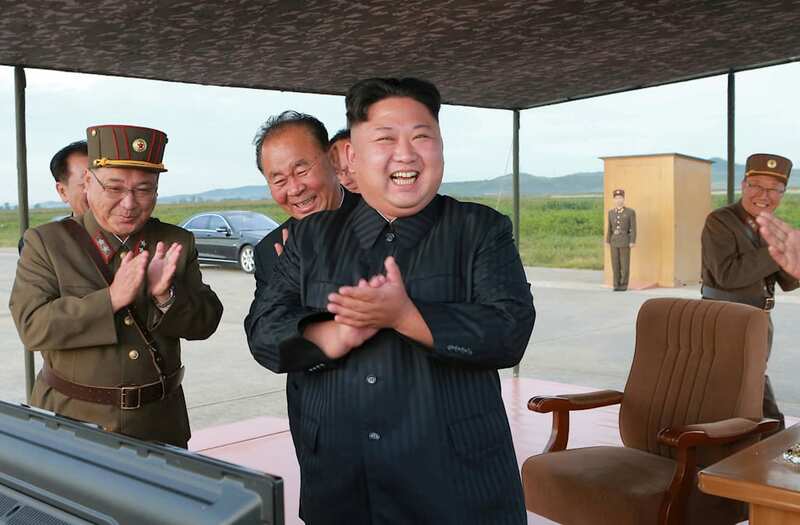 "Destroying the port-a-potty will deny Kim Jong Un a highly valued creature comfort, while also demonstrating the incredible accuracy of US precision munitions to hold Kim and his minions at risk. It will send an unmistakable message: We can kill you while you are dropping a deuce," writes Lewis. Lewis refers to his own idea as hilarious, and "a comedy and an action movie—both at the same time," but the US military may not be laughing. Lewis' idea, while funny, represents a rather circumspect approach to selecting the right target to use military force to send a message. While the verbal, diplomatic, and economic messages the world has tried time and time again have failed to get through to North Korea, President Donald Trump's administration has floated the idea of military action more than any before it.